10 Years of Adventure, 1 Car Seat. Weight Class: For children from 5 to 120 lbs. Keep Safety Where You Need It: Adjustable side impact protection, grows with your child. Superior Safety and Comfort: Patented Air Protect side impact offers superior protection from birth to 10 years, that's soft and comfortable. 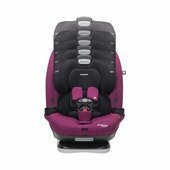 Headrest Adjustment: 14-position headrest adjustments, featuring Air Protect Superior Side Impact Protection at every stage from birth to 10 years. 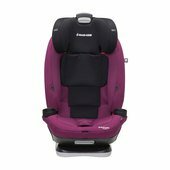 One-Handed Recline and Easy Adjust: 7-positions to choose from; HideAway harness allows seat to easily transform to booster car seat mode. 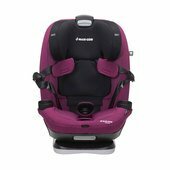 Easiest to Clean: The premium, machine washable fabrics and padding provide the most comfort for your child during the ride.